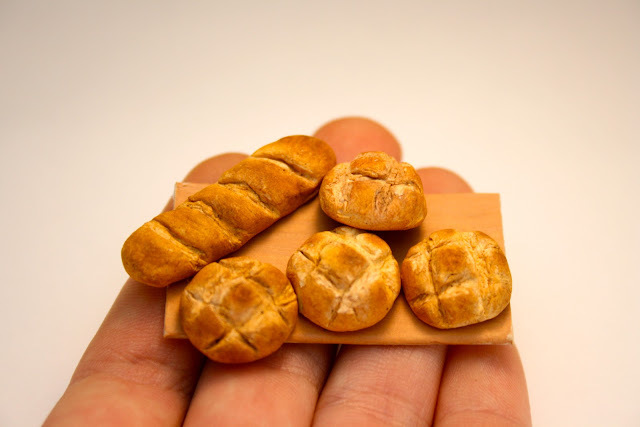 Here are some 1:12th scale rustic bread loaves and a loaf of french bread. The rustic loaves were so much fun to sculpt, I especially liked making the tic-tac toe on the top of the bread! I made these with a combination of Sculpey and Premo clay and colored them with pastels and acrylic paint. 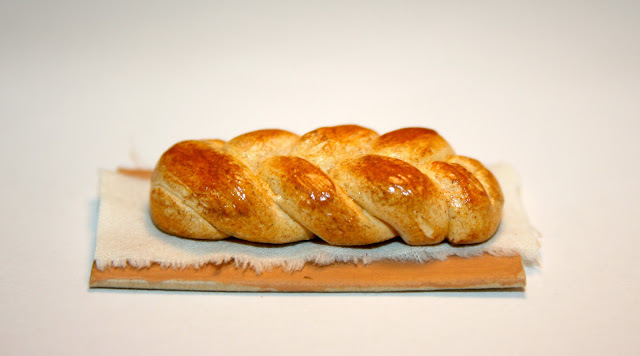 And lastly a fresh loaf of braided bread! This my absolute favorite work I have done in polymer clay! 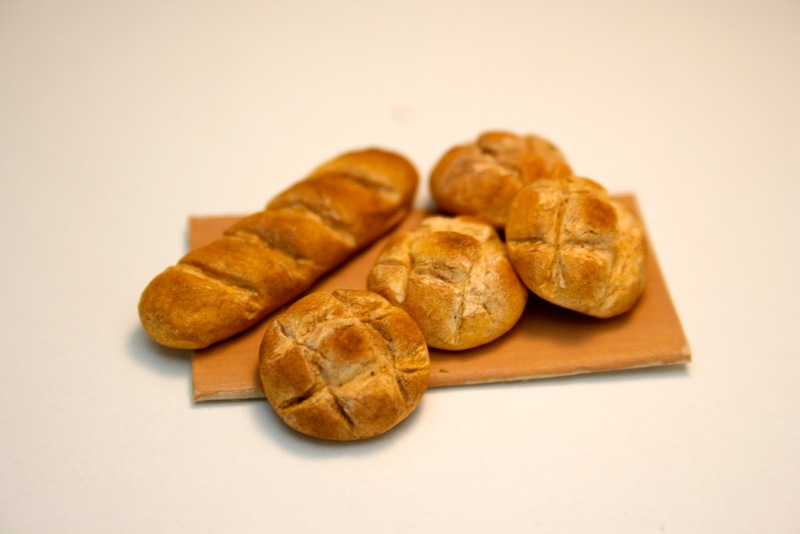 Wow those look hot out of the oven. Makes me crave a warm slice with some butter! Once again beautiful work.